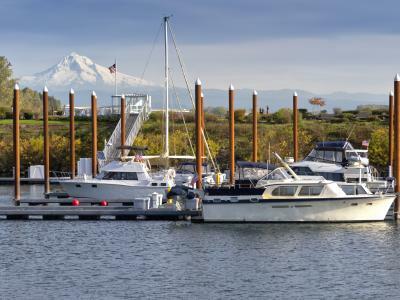 Staying true to the West Coast tradition of diverse fishing possibilities, Washington fishing charters will showcase everything the Pacific Northwest is known for. 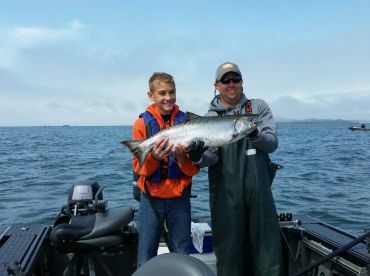 Considering this is a state with over 5,000 lowland lakes, and 2,800 high-country lakes, anything less than a stellar experience with Washington fishing charters would be surprising. The saltwater scene might not be as expansive as the freshwater, but it’s certainly productive. 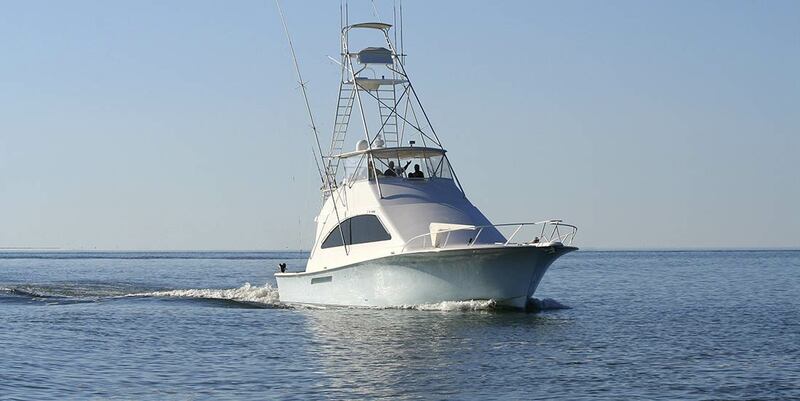 Washington Tuna charters are among the most popular on the Pacific coast. 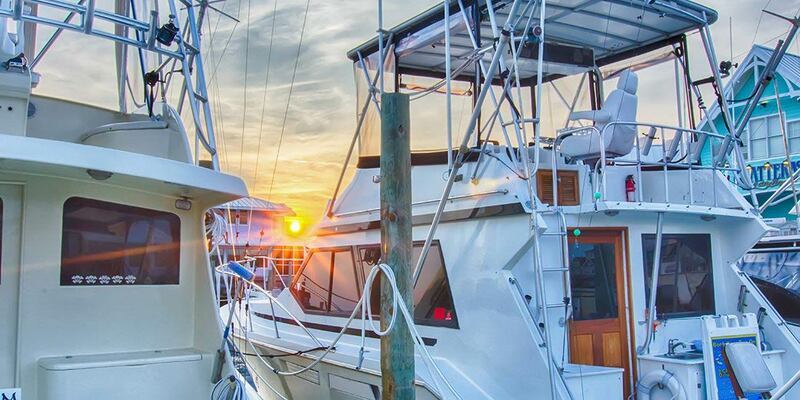 Westport, in particular, has a reputation for awesome Albacore Tuna fishing nearly every summer. Add to that some ever-popular Salmon, Halibut, Lingcod, and Rockfish, and you’ve got yourself a winner. 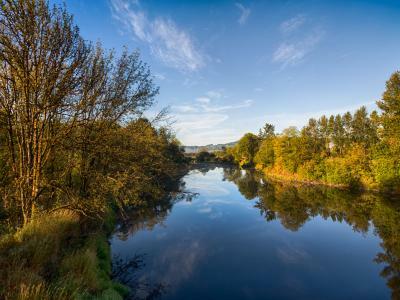 Picking between freshwater and saltwater fishing grounds is just the start when you’re fishing in the state of Washington. Here are some of the most popular fishing destinations in The Evergreen State year after year. If we were to think of Washington as a successful musician, then Puget Sound would be the greatest hits collection. 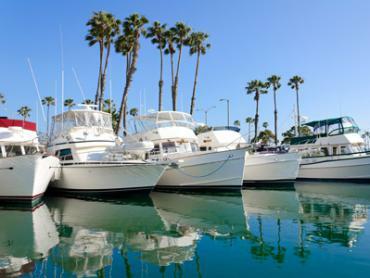 This is because you can find most of the different types of fishing the state is known for right in this spacious inlet. Especially when it comes to Salmon fishing - Puget Sound is where you want to be when the season hits. Seattle, Tacoma, and other big cities on the sound make up some of the best fishing in Washington. If you can pick a single time to visit Jet City to do some angling, we’d highly recommend the winter Chinook season, which peaks from November until mid-January. 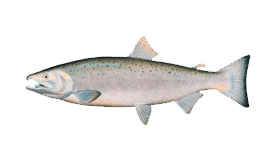 As for the Salmon season, Puget Sound should be on your radar anywhere from early July until late September. If you hear people talking with excitement about something called a Blackmouth Salmon, don’t be confused. That’s a common local name for juvenile Chinook, a very popular fish to go after ‘round here. Once known far and wide as the number one destination for bottom fishing in the whole of Washington, the San Juan Islands fell victim to overfishing. This resulted in new and highly restrictive regulations coming in force to protect the local Lingcod and Rockfish populations. The silver lining here is that Salmon fishing is still going strong, with Chinook being found during the entire year. 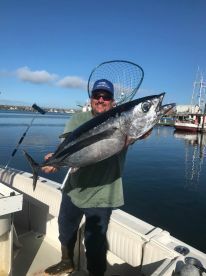 The prize jewel of Washington’s offshore fishing attractions, Westport Tuna fishing has been a major driver of the local fishery for more than half a century. Nowadays, anglers still rejoice every summer when the Tuna’s migration path brings them some 60 miles off the coast. Salmon fishing is also immensely popular, in spite of the relatively short seasons measured in mere weeks instead of months. Keeping in mind it’s the biggest river in the whole Pacific Northwest, it’s small wonder that the Columbia River dominates the river fishing scene in Washington. While it unfortunately no longer holds the title of the world’s number one Salmon producer, it’s still home to some excellent fishing. The productive river streams in the western part of Washington attract upwards of 100,000 anglers annually. 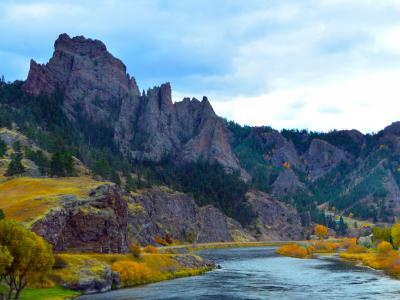 The Steelhead rivers that flow into the Pacific are known to anglers all over the country for world-class fishing. The most famous of these is the Quillayute system, comprised of the Bogachiel, Calawah, and Sol Duc Rivers. 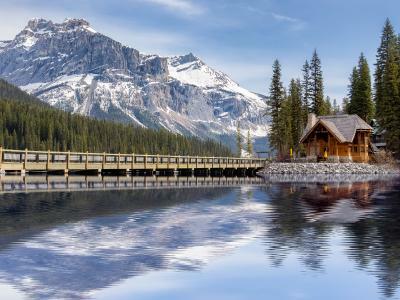 With thousands of lakes all over the country, recommending just a couple is far from easy. 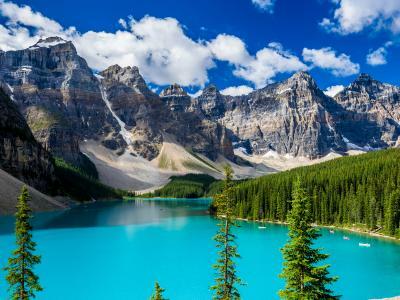 Lakes in Washington are usually divided according to whether they belong in the eastern or western part of the country. 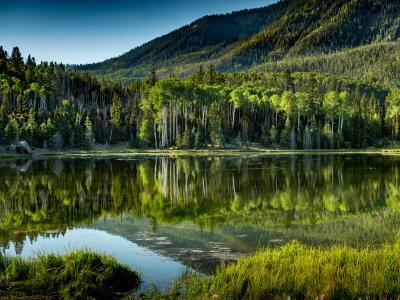 When it comes to Trout fishing, Washington is blessed with more than 2,000 lakes that are open to year-round fishing. The best performing lakes in the west include Padden and Silver Lakes in Whatcom County, Mountain and Cascade Lakes in San Juan County, as well as many, many more. Anglers not afraid to do a little hiking should definitely visit the Olympic Mountains, where more than a thousand lakes awaits them. The cool thing about them is that most anglers won’t make the trip into the high country, leaving some of these waters ripe for exploring. Those of you in the market for Bass lakes should not despair, as there are plenty of those to go around. The best ones for Largemouth Bass fishing include the Big Lake in Skagit County, Mason Lake in Mason County, Lacamas Lake, in Clark County, and others besides. As for Smallmouth Bass, look no further than Lake Sammamish in King County. Waters east of the Cascade Range hold plenty of appeal as well. In fact, Grant Country with its Blue, Park, Nunnally, and Merry Lakes is probably the absolute best Trout fishing destination in the state. Just don’t forget that Lake Trout are known as “Mackinaws” by most anglers, and you’ll be good to go. Of course, what good is knowing where the lakes are if you don’t know how to catch the fish? When it comes to Steelhead, you’ll find most anglers stick to drift fishing for the most part. The secret to successful drifting is to get enough weight on the line so it can seamlessly move with the current. Another good thing to do is to try drifting Leadhead jigs beneath floats. 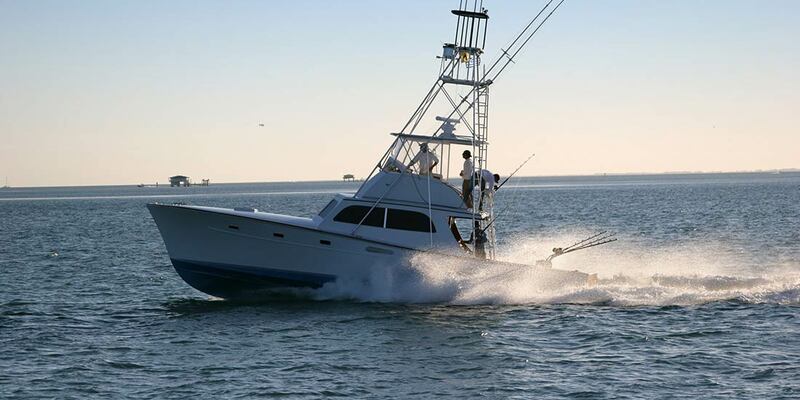 Saltwater fishing, though, is a whole other beast entirely. 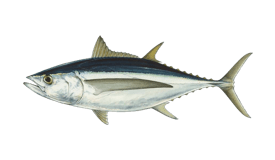 Tuna trips, for example, are usually long, overnight trips, where anglers will troll with hex-head jigs until they locate the fish. 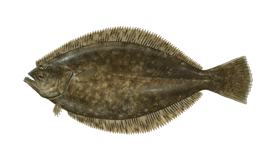 Once they do, however, they’ll switch to lighter gear, most commonly live Anchovies on single hooks. Fly anglers should match their gear to the sort of fish they plan to go after. There’s no need to go heavier than a 6 wt rod if you want to go after Cutthroat and Rainbow Trout with streamers or dry flies. However, if Steelhead is more of your thing, then make sure to pack a 7 or 8 wt rod — you’ll need it. Anyone over the age of 15 requires a license to be able to fish in Washington. This applies regardless of whether you plan on fishing with a charter guide or on your own. 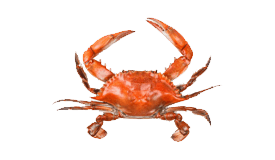 However, if you’re fishing for the likes of Common Carp, Crawfish, Bullfrogs, Smelt, or unclassified marine invertebrates, you do not need a license. Be sure to check the WDFW Licensing website for any changes, and to also buy a fishing license online. Washington waters attract armies of anglers with diverse interests. Check it out in person, and you’ll be coming back for more year after year! When a new year gets going, most anglers will be busy going after Blackmouth Salmon to notice. Join them and see for yourself what the fuss is about. 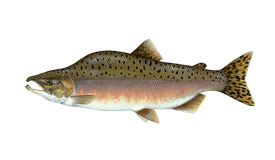 Come February, Puget Sound is swarming with Blackmouth Salmon and Cutthroat Trout. Anglers in places like Seattle and Tacoma will be all over the piers catching Squid. Winter might be over and done with, but the Chinook bite is still going strong. Out in the jetties, get ready for some awesome Lingcod fishing. 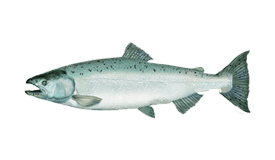 April is when the winter Chinook fishing dies down, and the harvest season draws to a close. On the bright side, the time for spring Salmon is upon us. 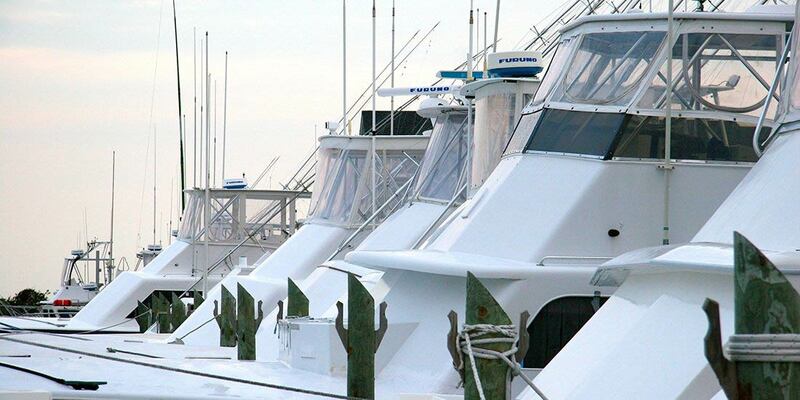 If you’re up for some bottom fishing, there’s hardly a better time to get started. 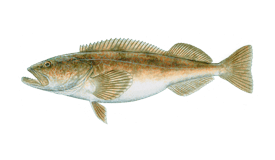 With Rockfish, Lingcod, and Flounder, what else do you need? Did somebody say Summer Steelhead? 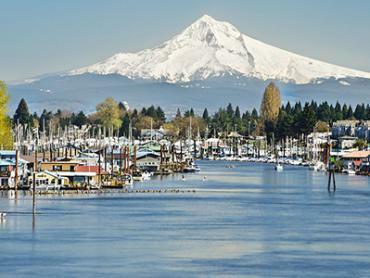 Head on down to the Columbia River and fish your heart out. In Seattle, Lingcod season is about to end in a week or two into June. Anglers in Puget Sound are getting ready for the up and coming Salmon season there, while Westport is in the middle of the traditional Albacore summer rush. There’s not a bad place to go fishing in Washington during August. Saltwater or freshwater, rivers or lakes, conventional or fly, feel free to run with it. 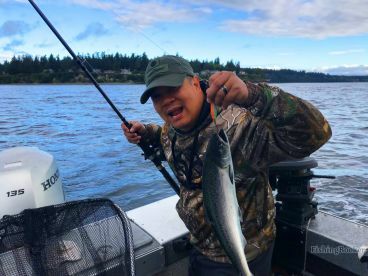 The wonderful variety of fishing all over Washington continues to enthrall anglers all over, especially over at Puget Sound. It’s Salmon fishing season at its absolute finest. October usually marks the end of lake fishing, with anglers switching to rivers if they haven’t already. The winter Steelhead run is just around the corner. Blackmouth Salmon is the star attraction in Puget Sound this time of year. At the same time, anglers from all over are going crazy about winter Steelhead. Sturgeon and Steelhead rule the river waters in December. Not that anybody’s complaining. There’s nothing quite like fishing to keep you warm during the cold days. "Day trip with Captain Mike"
Make sure you are dressed appropriately for the weather, bring rain gear and waders. Just do it, once in a lifetime to catch wild salmon on the river, watch eagles eat the entrails. 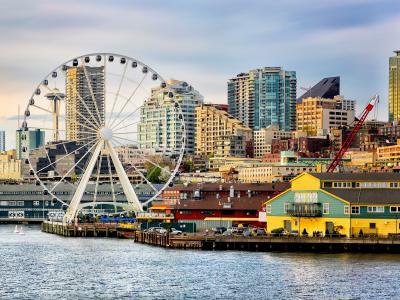 ..
"Fun Trip With Captain Haug"
This is very convenient for those living in the Seattle-area, especially during the Coho run. Not even 10 minutes of sailing and you are on the fish. Very much worth it. 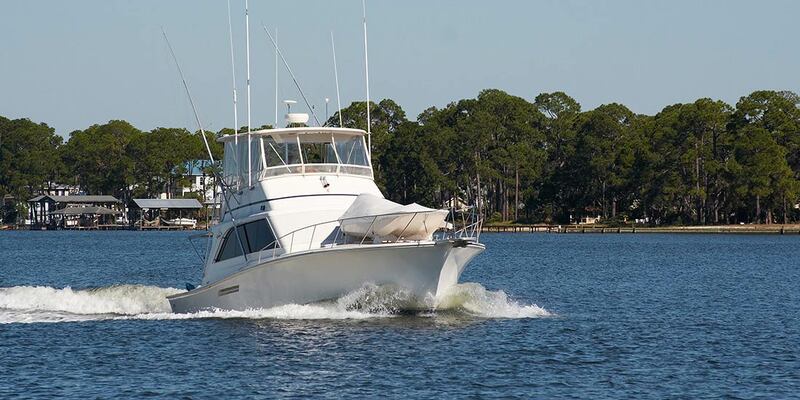 "Half day trip with Captain Chris"
Check when the fishing seasons are and what you are fishing for.